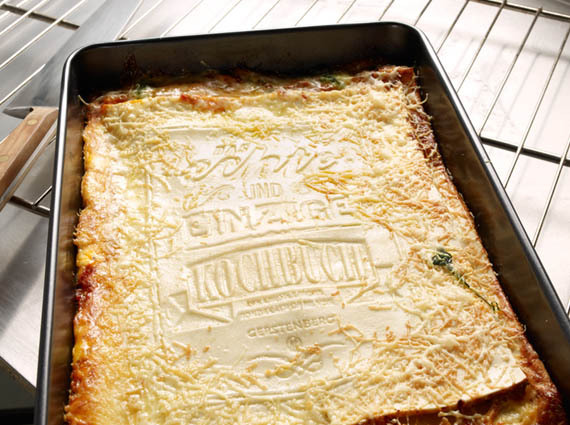 A real cookbook by Korefe, a German design agency. It’s the first and only cookbook you can read, make and eat. 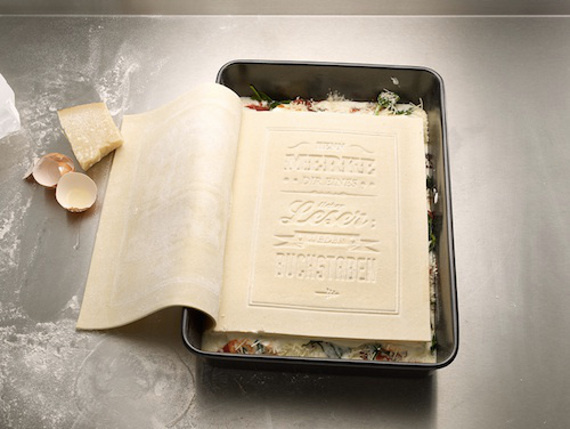 Each page is a sheet of pasta that spells out step-by-step directions for a classic lasagna!